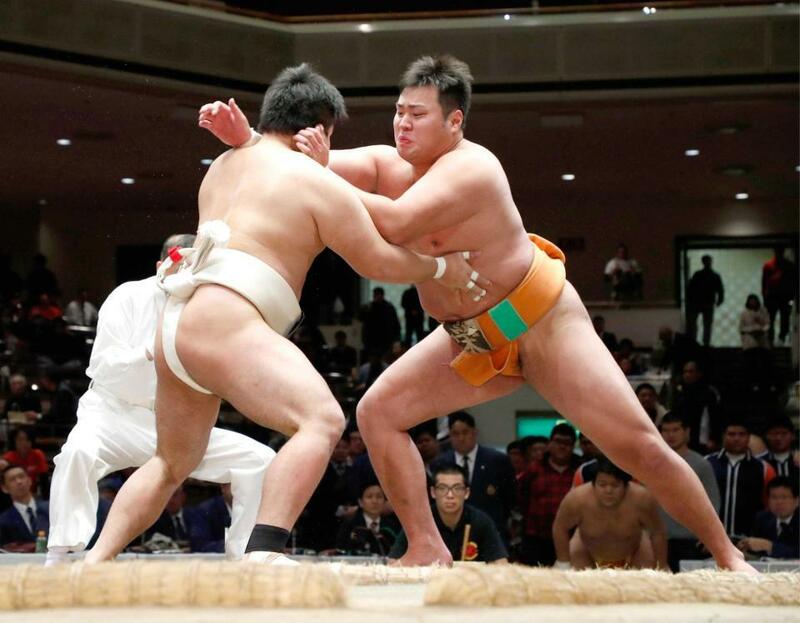 Kurokawa Kojiro (23, Takudai teacher) is amateur yokozuna, beating Toyodai's Shigematsu (3rd year) in the final. 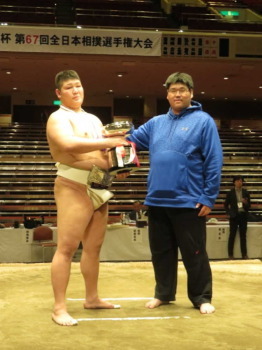 Only 2 students in the best 8th - Toyodai's Shiraishi lost in the best 8. 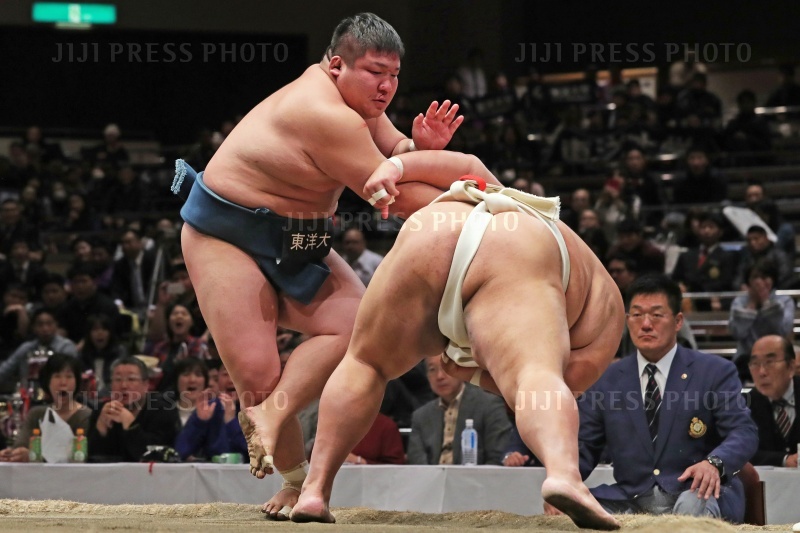 It's nice to see Sawada Hideo of the Wakayama Prefectural Office getting to the semi-final this year. 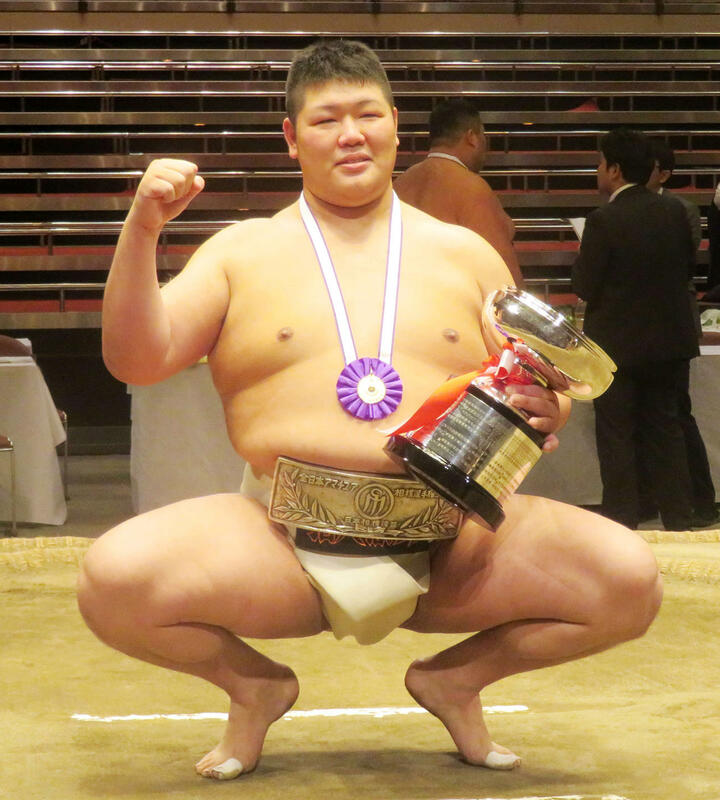 He is a former Wanpaku Yokozuna, but more importantly, Sawada was a member of Tachikawa Renseikan Sumo Dojo back in his younger days, so I'm very happy to see him doing well. 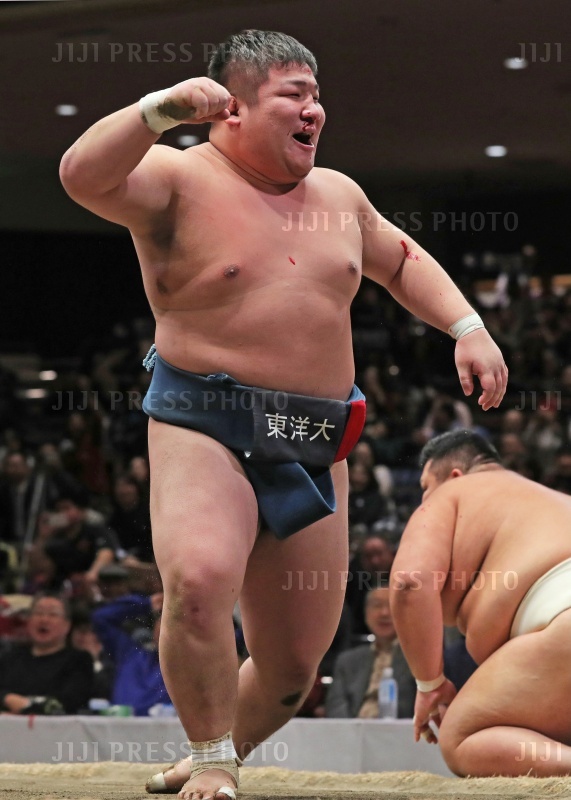 I'd appreciate if anyone could translate what he said about why he decided to take a day job and do corporate sumo instead of turning pro. I notice Kojiro Kurokawa there too; does he speak about the same topic? "I felt that a life where sumo was the only thing I did wouldn't suit me. 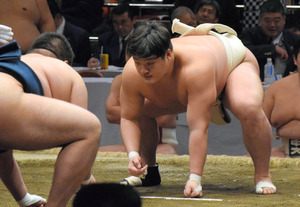 Instead, I could work hard at the prefectural office and practise sumo during my spare time. 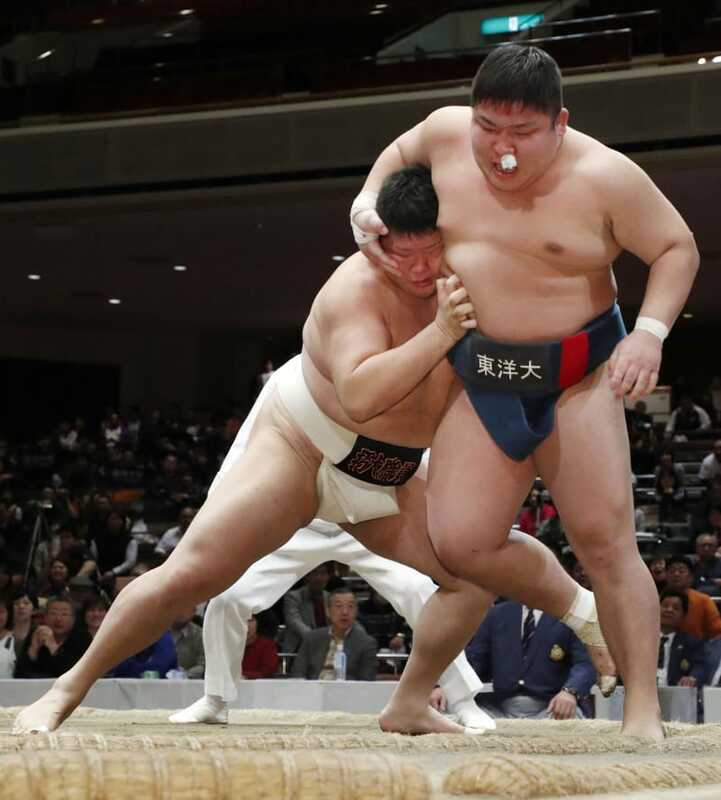 Some of the training we do are even tougher than what the pros do, so I felt that I could also get good training this way. 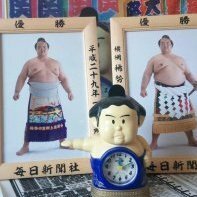 That's why I chose this path." He also mentioned that to him, the feeling of winning the Emperor's Cup would be better than the feeling of becoming a sekitori. 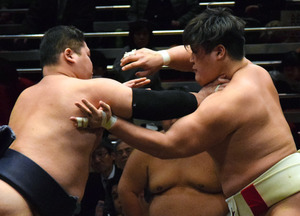 Kurokawa Kojiro said that he wants to defend his title, and will be using that as his motivation going into this year's matches.